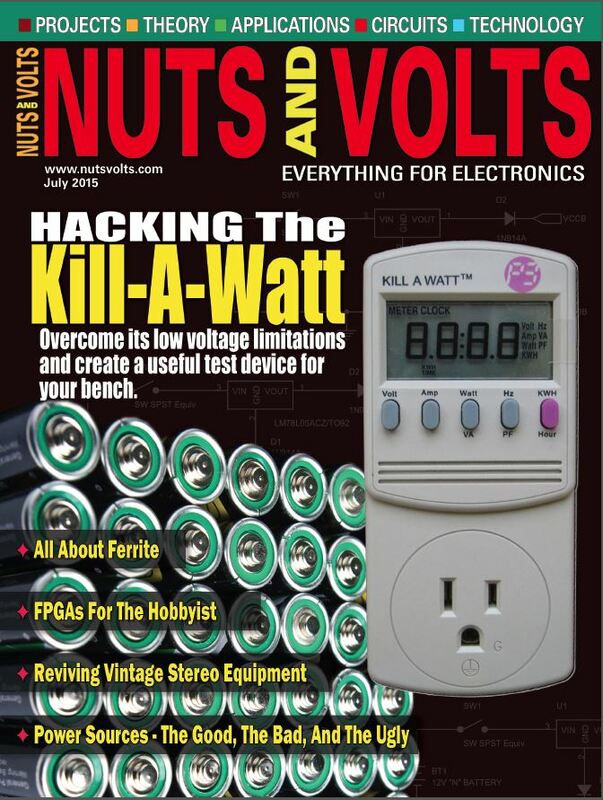 The Kill-A-Watt is a cheap (~$30) computing 120VAC digital power meter. Plug the KAW into the wall and the appliance under test into it, program in your utility rate in $/KWH and let it run. In addition to measuring voltage, current, real & and aparent power, PF and frequency, it accumulates and calculates energy consumption in KWh. So long as it is operated off standard line voltage all is well. However, run it off a variable auto-transformer (Variac) and it will quit around 50-60 VAC. I wanted to characterize some small power transformers using open & short circuit tests. While the KAW would be a fine power meter for making such measurements, it needs to be safely modified to operate at the necessarily lower AC voltages. 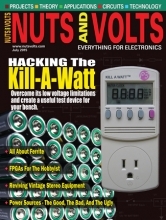 That is where the cover article I wrote for Nuts & Volts comes in. 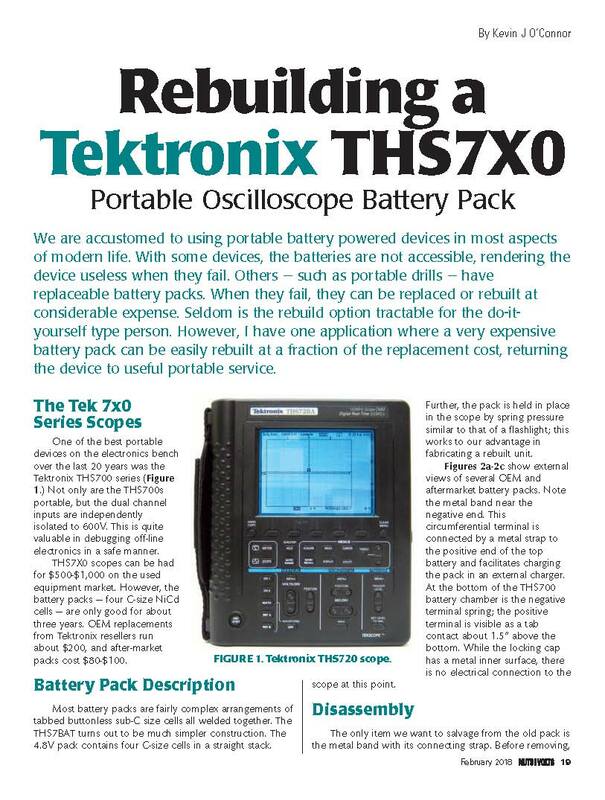 Check out the full article via the following like to see how I made a safe and reliable modification. 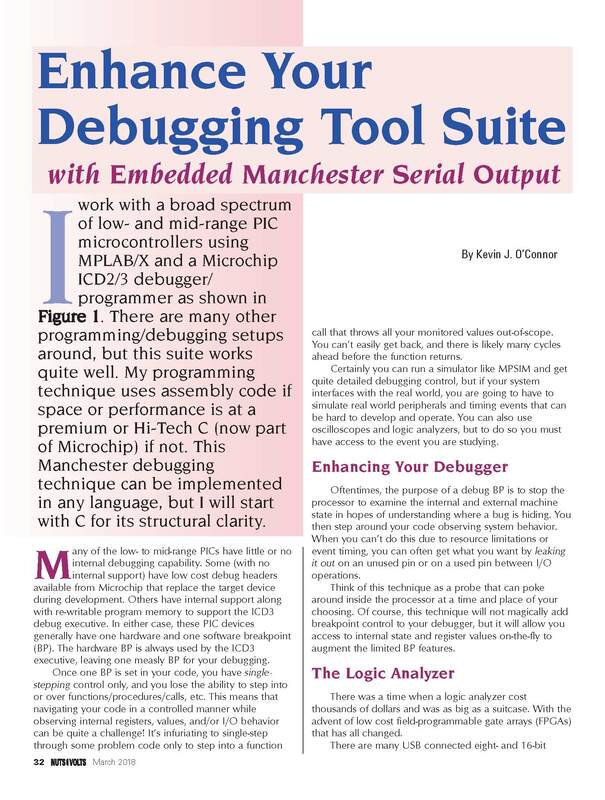 Microcontroller based systems often have rather limited debugging facilities due to the restrictions present in the hardware and software development systems. For instance, while code simulators may allow for many breakpoints to be set, once one moves to the actual hardware, there may be only a few to none available. This makes it hard to know what is happening internally. Even with a logic analyzer attached, but the analyzer and the IO interface is generally limited in size and scope. But modern logic analyzers, both expensive and cheap, support a host of protocol analyzers covering single wire to multi-wire busses. One of the more useful protocols is Manchester Coding. This is a single wire code that is self-clocking. By embedding a small block of code in a design that can package and transmit internal information over a single wire one can leak out memory, addresses, registers, program counters, and a host of other information. The protocol analyzer within the logic analyzer will display this information time synchronized to the systems internal and external signaling.